Oh, boy. UFC 196 can officially go down as a complete disaster. Less than 24 hours after Cain Velasquez pulled out of his immediate rematch with heavyweight champion Fabricio Werdum (pictured) with a back injury, Werdum has now withdrawn from the lineup. The UFC has yet to confirm the news. If the rumor mill holds true, Stipe Miocic is probably shedding tears of sadness after agreeing to replace Velasquez on last minute’s notice to get the title shot he’s long been clamoring for. Now, here’s where it gets interesting. MMAFighting.com initially reported that an undisclosed injury forced Werdum out of UFC 196, but Globo reported shortly after that Werdum and his team decided to exit stage left, not because of a wound, but after discovering Miocic would now be his opponent in the February 6 event. “The replacement of the opponent by Stipe Miocic made the team decide to leave the card,” Anna Hissa of Globo reported. If that’s the case, Werdum will likely find himself in the same doghouse as former UFC light heavyweight champ Jon Jones. 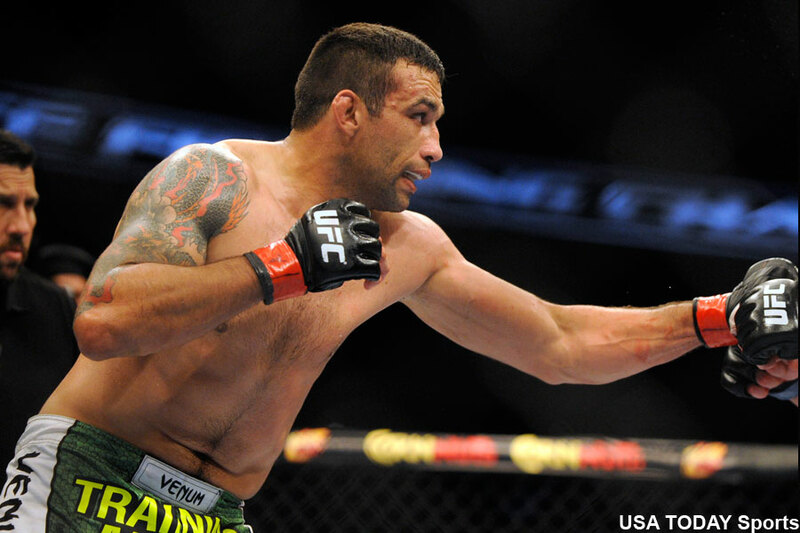 Werdum, 38, just inked a million-dollar UFC contract extension in December. As the card currently stands, a welterweight affair between former title holder Johny Hendricks and Stephen Thompson will headline the pay-per-view broadcast. Get your $64.95 ready!